"What type of job are you seeking?” Different NCAA divisions and institutions have different expectations. Understanding the differences between Division I, Division II and Division III is important. There are personal and financial trade-offs, quality of life questions and different lifestyles possible in each position. Likewise, AD jobs in the NAIA and at the junior college level offer different perspectives as well. 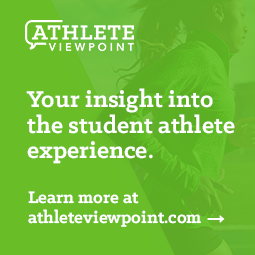 And the role each athletic department plays within the larger context of its institution will vary widely – from an alumni driven and public relations focus to an enrollment management enhancement model and many levels in between. Like a good pair of shoes, AD jobs come in all shapes and sizes, and its important to find the right fit. USA Today recently published a very informative article looking at this topic and it's worth reading. “Do you have a preference for a public or private institution?” Each type of institution brings significantly different expectations into play. In particular, public institutions operate in a very open manner. Many states have “sunshine laws” that make virtually anything you write or do related to your job public information. California, Florida, Ohio and North Dakota appear to have some of the most open sunshine laws. This dynamic also brings an additional consideration into play as you search for an athletic director opportunity – your name and application, including your actual resume, can be published just by applying for a position. Long story short, make sure you are viable and interested before you get in the mix for a position at a public institution. Do your homework and know that even at a private institution, there is little if anything about your life, your job, and your decision making that will be confidential as an athletic director, and much of it will find its way into the media. “How important is Football?” Football is clearly the economic engine, or an anchor in some cases, that impacts an athletic program like no other. How important the sport is for you, your understanding as well as appreciation of its importance and the attention a football program demands should be a consideration in your search for an athletic director position. Twelve games on Saturday afternoon are just a tiny fraction of the amount of time you will dedicate to making football successful at your institution. “What level of salary are you seeking?” Aspiring to significant compensation as part of your AD search is common. But as salaries go higher and higher for senior staff at BCS level schools, senior associates and other aspiring athletic directors may have to consider a more modest or lateral salary move offered by a school in a lower athletic tier for a chance to advance professionally. Considering a specific athletic director opportunity is not just a short term financial consideration. Achieving your first athletic director position is likely the most difficult job to obtain since you are not a "proven commodity" yet achieving this first opportunity is crucial to your ability to advance in the profession. This may appear to be a strange notion since the assumption is that as an athletic director you will be well compensated. But television money is completely skewing salaries throughout the athletic industry with significant trickle-down effects for upper and even mid level leadership positions. "How important is divisional mobility?" Once you've sorted through the above four questions, it is important to recognize that in the mind of decision makers and search committees, Divisions I, II and III are not equivalent. Moving "down" from a BCS level program or highly regarded FBS or Division I institution is likely easier than moving "up" from Division II or III to Division I. I put "down" and "up" in quotations because whether these are upward or downward movements is really a personal judgment based on your own values. Asking and answering the questions above is important to you personally because once you are in an NCAA division, movement to another division while certainly possible becomes more challenging. Institutional types are separators, both for you personally and in the eyes of each campus who is determining whether they want to make you a first-time athletic director.